If not for the extraordinary creative thinking of my editor-in-chief at the time, the imposition of Martial Law in September 1972 would have brought to an abrupt end my then budding career as a journalist, one that would eventually last four decades and take me to four continents in search of stories. On interview day, after a long wait in the officer’s anteroom, I was called in and as he was scanning the contents of a folder before him, he told me to go back to my office immediately and report to my editor. As I was about to rise from my seat, he also told me to report to him every Friday starting the following week – and to have a haircut. Back at the office, my editor, the highly respected Raul L. Locsin, calmly told me that the officer who interviewed me at Camp Aguinaldo had called him up. The officer told my editor I was not allowed by the military regime to work for Business Day or for any newspaper. My name, he said, would henceforth be removed from the payroll. After a long silence, my boss said, this time in a softer tone, that he would allow me to continue to work for the newspaper as soon as it got a permit from the government, but that I would get paid through the Accounting department’s petty cash fund, not from the regular payroll. There was more silence after that until I realized how fortunate I had been. I thanked my editor profusely for the break. I then went straight to my residence, my aunt’s house in Quezon City, picked up some of my personal stuff and moved to an apartment unit near the office. When the military regime announced the grant of a permit to Business Day, it coincided with the approval of a separate permit for Bob Stewart’s Channel 7. That led to impressions that Business Day was also owned by Stewart. Business Day, which Locsin shuttered in 1987 after some of its staff went on strike, was the first business daily in the country and in Southeast Asia as well. When Locsin set it up in 1967, it also invited a few prominent personalities in business and in government to make “token” investments. It also became one of the recipients of the Marcos administration’s big foreign debts that were onlent to local businesses through the state banks. During the first months of Martial Law, when only Business Day and two other newspapers were in the market, Business Day carried features not normally seen in a business-oriented periodical, such as sweepstakes draw results, and racing programs and tips. But it continued to pace the industry in the delivery of important business and economics news and analysis articles that mattered most to its main readers. There was a feeling among the top officers of Business Day that the publication was actually being “used” by the Martial Law machinery to spread propaganda about the economy and about its programs for business. Still, there was a decent level of editorial independence that the paper exercised. For instance, when Marcos proclaimed his scheme for 11 Major Industrial Projects as a move to elevate the Philippine economy from a consumer goods producer into a heavy industry economy, Business Day ran stories and opinion pieces critical of some of the projects. My own experience in Business Day was a particularly difficult one in the early months of Martial Law. As I was not allowed bylines for articles I wrote (because the military told my editor I should not be working there, remember? ), I would sometimes get quizzical looks from business people and their staff when I introduced myself as a reporter for the paper. I wrote a few memorable stories during that time. One of them was the filing of an application by Chase Manhattan, a leading financial services group in the US at the time, to set up shop in the Philippines. The story, and subsequent follow-up articles, were prominently positioned on the front page of Business Day for several days, but the name of the writer was not there. The prohibition on my employment in media would last for a few months. During that time, I religiously reported to the defense agency officer. There were days when he would immediately dismiss me upon seeing me in his anteroom. On days he felt like talking to me, he would ask me what I did during the week, where I went, who I talked to, whether I travelled outside Manila, even the movies I saw, if any. In all my responses to his questions, my work at Business Day, including people I interviewed, was never revealed. In short, it was a plain and boring lifestyle that I reported to the officer. A change in that routine came one day when my aunt called me up and told me somebody had come looking for me, leaving with an advisory for me to report to a certain unit in Camp Aguinaldo. The unit was different from the one I had been regularly reporting to. It was with great hesitation that I finally decided to go to that agency. As I was entering the premises, I saw a man on his way out. There was a piece of paper protruding from his shirt pocket and on it was scribbled a name. It was my name! I stood by that gate for a few more minutes before I gathered enough strength to proceed with my goal, to see this officer who was supposed to interview me. When we finally met, the officer led me to a room nearby – a warehouse where old, broken pieces of furniture and other trash were dumped into – for the interview. The officer (if I remember correctly, he introduced himself as a lieutenant, maybe a sergeant) leafed through what looked like a dossier and started asking me questions like, “why were you distributing subversive materials at a picket line,” “what was your participation in a certain NPA meeting,” “why were you on a particular school campus on a certain date, meeting with some groups,” etc. I answered him truthfully and honestly: I knew nothing about the things he was mentioning. I don’t remember now how that meeting ended, but I did survive it in one piece and peacefully left the compound through the same way I entered it. My “clearance” from the military came several weeks later. Locsin told me about it casually during one of our meetings – I could have bylines again. At first I felt like celebrating, but I later thought about the opportunities that I – and many of my colleagues in journalism – missed because of that ban. I continued to work for Business Day and was eventually promoted to senior positions in the organization. When I was assigned to lead the Research unit, my team widened its work scope by looking into social issues. Some of the researchers on my team went on to win awards for their work. By the time I was promoted to news editor (six years into Martial Law), there were more controversial stories that besieged the Marcos regime. Since many of these stories were non-business in nature, I felt Business Day should come up with a section that could carry them. I initiated a page for ASEAN News in our mainly business- and economics-oriented publication. 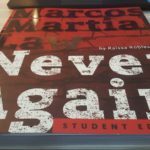 It was on that page where I placed such stories as the disappearance of a son-in-law of the Marcoses and about the tragic incidents at Imelda Marcos’s Film Center. As if to demonstrate Business Day’s independence, Locsin over the years hired a number of former activists newly released from Marcos’s jails. They were assigned to different positions in the Editorial department, many of them as news writers who reported directly to me. In the 13 years I was with Business Day, I can remember only one article that Locsin ordered “killed”: a special report about the coconut levy and the coconut industry that was put together by a team led by then senior reporter Marites Vitug. Locsin never explained to the staff why he kept that report in the freezer permanently. When I left the paper late in 1982 I was its news editor, and one of the projects I was pursuing for the organization was an alliance with the other business newspapers in the region that would have involved republication rights to each others’ articles and a regular exchange of reporters for training and exposure to different business and newsroom environments. An organizational meeting that Business Day hosted in Manila for such a collaboration was attended by top editors of the region’s business newspapers and an agreement was reached on the main framework and areas of cooperation for the alliance.